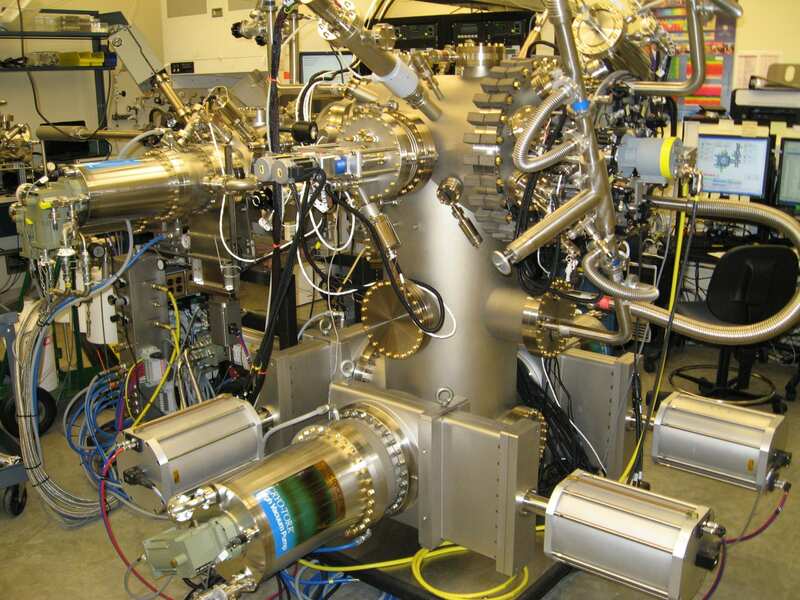 Vacuum Quality: The Purdue MBE chamber has a base pressure ~ 1 x 10-12 Torr. Samples are loaded through 2 chambers and undergo two separate heat treatments before moving into the growth chamber. Our team works with vendors to design components that minimize power dissipation in an effort to keep the vacuum pristine. Source Material Purity: Evidence strongly indicates that source material, particularly gallium, is a primary source of residual background impurities. We have undertaken a program to further refine gallium used in our system beyond what is commercially available. Heterostructure Design: We explore novel heterostructure designs and intentionally introduce specific types of disorder in order to understand the relationships between heterostructure design, disorder and the strength of the fractional quantum Hall effect.